Somewhere along the way, someone gave golf clubs the nickname of “crooked sticks.” In fact, if you Google that term, you’ll bring up a golf course in Indiana. Beautiful. Even boasts a red barn. – John Watson, Puritan preacher. I am a crooked stick—unlovely and full of imperfections. Yet I take great encouragement from the fact God specializes in redeeming crooked sticks. The Bible gives dozens of examples. Abraham, Moses, David, Jonah, and Peter are just a few that readily come to mind. Abraham took a shortcut which has negatively impacted his descendants ever since. Jonah refused to follow God’s plan. 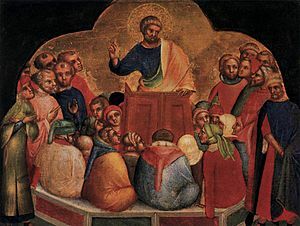 Peter was brash and impulsive. Yet consider what God did through these crooked sticks. Abraham became the father of God’s chosen people. Moses led the chosen people from Egypt into the Promised Land. 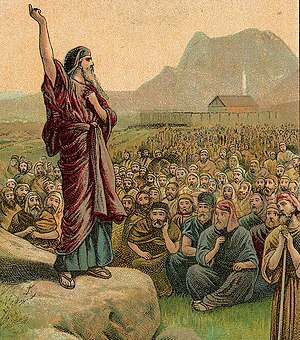 David ruled Israel as a strong, much-loved Shepherd-King. Son of David became a title for God’s own Son. Jonah brought an entire city to repentance. 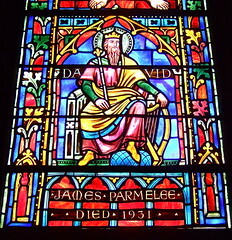 Peter became a leader of the early church. His first sermon alone convinced 3,000 people to believe in Jesus and follow the Way. Heavenly Father, thank you for not discarding crooked sticks. Thank you for forgiving our foolish choices, lousy attitudes, wrong motivations, prideful actions, and somehow using us anyway to make straight strokes. As 2013 approaches, I pray you take the crooked stick of my life and produce positive strokes as only you can do. What a great reminder and a image. I am crooked stick. This is one post I will remember, Nancy. Thanks and happy new year! Thank you, Jean, and happy New Year to you, too. I look forward to becoming better acquainted in 2013, as we share our thoughts and our work. You are one of the lovelist people I have ever met and I’ve met ALOT of people!! It is one of your endearing traits. You have such a peaceful presence. May your new year be overflowing with blessings. An ugly stick???? I don’t THINK SO!!!!! Grace, you are a top-drawer encourager! But you must know there are still nasty cobwebs lurking in the corners of my soul. With God’s help, a little more gets swept out each day. I agree with Grace, you are one of the straightest sticks I know. I pray that in the year 2013, God will straighten this crooked stick a little more as he does each year. Have a Happy New Year!! That’s a good focus to have: progress, not perfection. The latter we cannot attain. But to stand a little straighter each year? That’s doable! We can grow, day by day, to be a little more like Christ than we were yesterday–a little more patient, a little more courageous in sharing our faith, a little more self-sacrificing, etc. Thank you, dear Nancy, for your encouragement. How delightful that we’ve reconnected after all these years! What a comfort to know that Christ can make this crooked stick straight. He can make me a better me. How I praise Him for that. On to a better 2013 with the Lord leading the way. Nancy, I really love the prayers at the end of your posts. They are a wonderful ending… And now, on to a new beginning. Every day the Lord forgives, encourages, and gives me a brand new, fresh, clean page to write on as I journey through my time here on earth! Praise His Name! Beautifully said, Cheri. I love the clean-page visual. My prayer is that each day God keep me focused on the tasks he wants me to complete . Then, at day’s end, I can review that page and rest peacefully, knowing I have pleased him and accomplished kingdom business. The fresh start of a new year reaffirms the resolve; the support of friends adds strength. Thank you, Cheri! Just had a thought: I’m pretty sure the whole purpose of discipleship is to make crooked sticks straight. So perhaps we can add this to our prayers: In 2013, may God reveal those places in us where we’re still crooked, especially those places where we’ve deceived ourselves into thinking we’re straight! Another wonderful post, Mom….. got me thinking. O-o-o, that speaks loudly to my heart–You’ve got me thinking, too. Nancy–your relative above (son?) has it write, I believe–the whole purpose of walking with Jesus is to make crooked sticks straight. This is a great metaphor and the Old Testament people lessons are perfect! You’re right, Jody. Walking with Jesus does make crooked sticks straight. I’m struck by the freedom in that–freedom from guilt and regret that wants to weigh me down. Freedom from the contortions of “performance” in order to feel worth. Straight is so much more comfortable than crooked! P.S. You’re also right that Jeremy is my son!